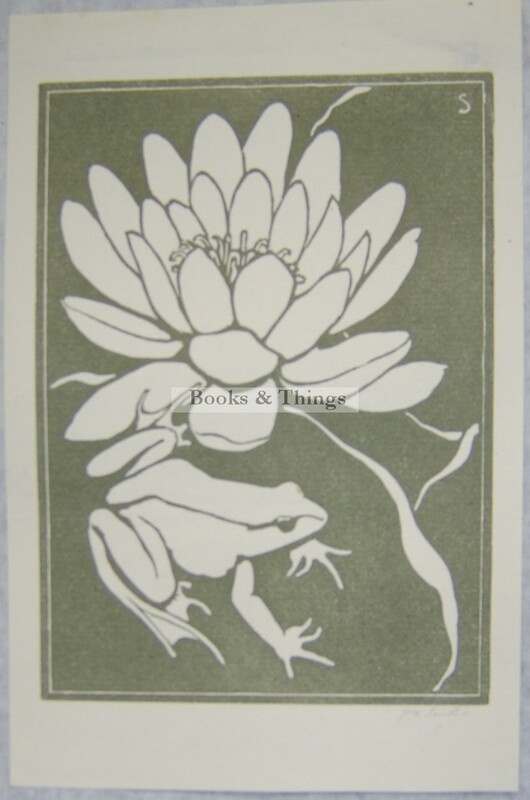 John Bulloch Souter: Frog inocut printed in grey. Signed in pencil. 17.5 x 11.5cms (7 x 4.5 inches). Creases to top margin. Category: Miscellaneous. Tag: John Bulloch Souter linocut.